You’re invited! 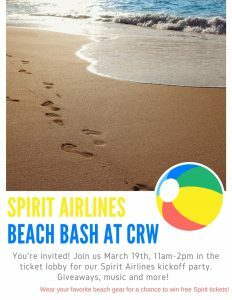 Join us March 19th, 11:00 am – 2:00 pm in the ticket lobby for our Spirit Airline kickoff party. Giveaways, music and more! Wear your favorite beach gear for a chance to win free Spirity Tickets!